*NFA Requirements: Engraving must be at least .003" in depth and 1/16" tall, regardless of placement location. Text must be visible without dis-assembly. 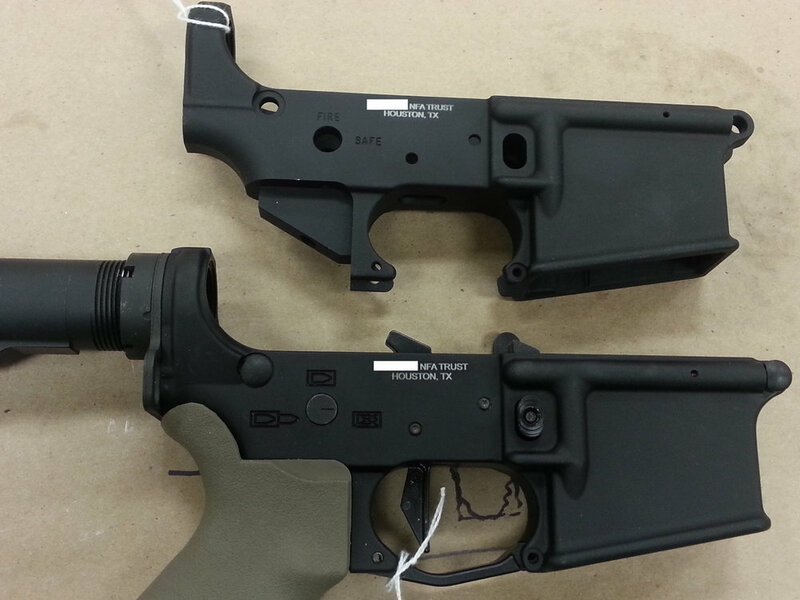 There is no additional charge per line for NFA engravings. However, keep in mind that the length of your engraving could potentially rule out some placement options. We can engrave your firearm in any font and size you desire. Although common practice is to choose a font that matches the manufacturer information already engraved on your firearm. This helps to preserve the overall feel of the firearm. Please disassemble your firearm down to the receiver (or as far as you are comfortably able) before you arrive for your engraving appointment. NFA Engravings are BY APPOINTMENT ONLY. Schedule yours today!